This lovely designed bag is inspired by the great outdoors and is the perfect wrapping for a handmade gift. 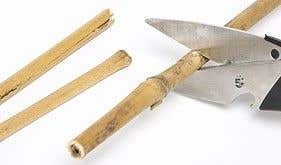 Using a pair of scissors, carefully cut a 9cm long piece of bamboo, as shown. This bamboo stick will become the dragonfly's body. Find two gemstones of similar size and colour, for the dragonfly's eyes. Glue the gemstones onto either side of the bamboo stick using the large glue dots. As shown, using a white acrylic deco pen draw a circle onto each gemstone and leave to dry. Using a black marker pen, draw a dot directly onto each white circle. Fold four skeleton leaves in half. 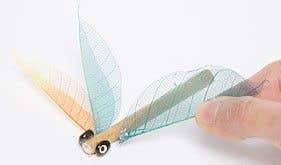 Glue two skeleton leaves onto each side of the bamboo sticks to create the dragonfly's wings, as shown. Repeat stages 1-6 to create your second dragonfly. 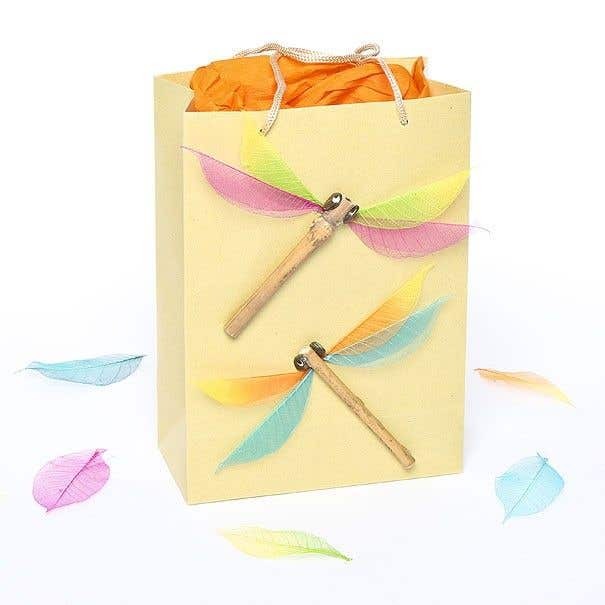 Finally, glue the completed dragonflies onto the gift bag, using the large glue dots. 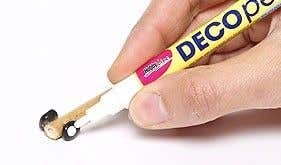 Using Large Glue Dots (AG167) instead of PVA glue is a mess free alternative and requires no drying time.